Our signature favor collection is inspired by the spirit of the seasons & the magic of the moon. 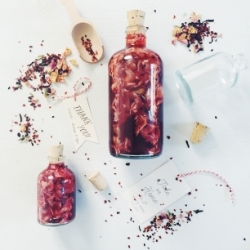 The herb bottle favors evoke seasonal essence & can be filled with an array of infusion agents. Flavors change seasonally. 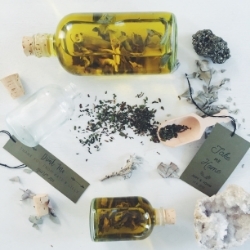 Each bottle comes complete with dry herbs and spices, cork stopper and with a custom hang tag, ready for you to fill with your favorite spirit or oil. Need a recipe suggestion? We have you covered! We have tested each flavor with different spirits and brands to identify our most favorite ones. 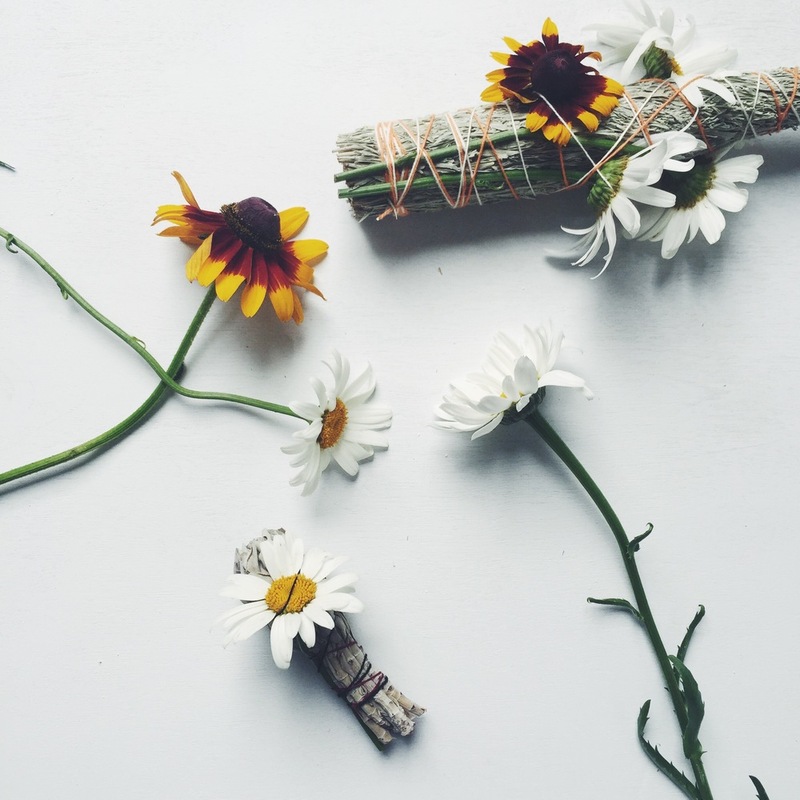 The mini sage ceremonial smudge sticks are a celestial nod to the charm of your vows. Hand wound with fresh flowers and white sage. Available with custom hang tag. Designed with your Wedding emblem or favorite quote these handkerchiefs are 100% cotton and one color screen printed. Available in varying fabric colors and an array of ink colors as well. 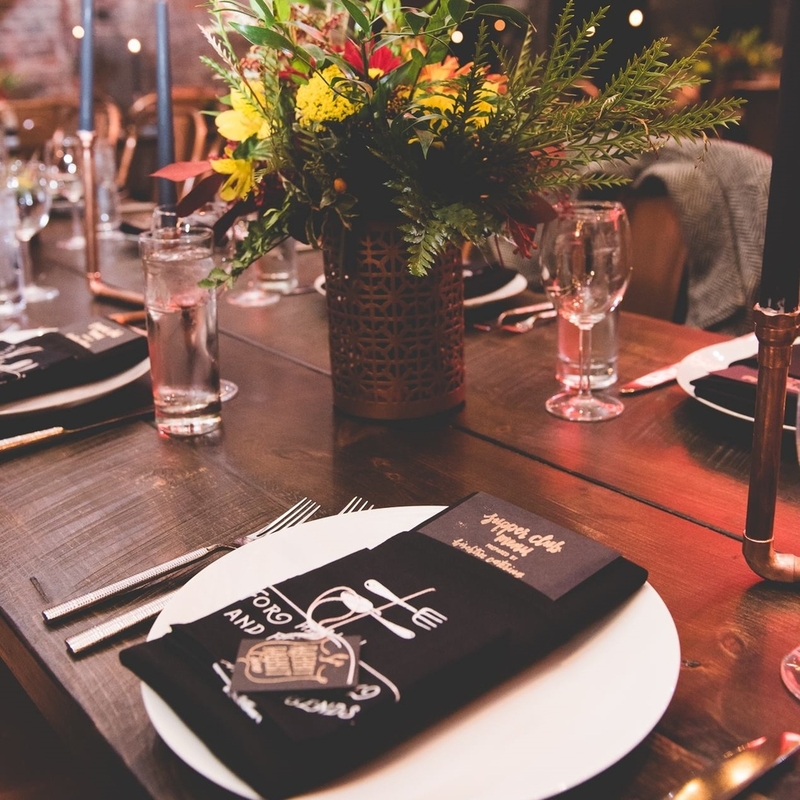 We are always working on new ideas and maker collaborations in order to bring our clients the perfect fit for their guests' favors. Whether it's a specialty option from your favorite maker or classic options like honey, jams, and mugs, we can help to make design and create giveaways individual to your story. We will start off with a design and concept consultation and will work through options from there. Pricing varies per project and quantity.